Well, 2017 was a doozy, huh? It’d be an understatement to say the past 344 days (and counting) were rough for many people, but all was fine and dandy in the world of music. 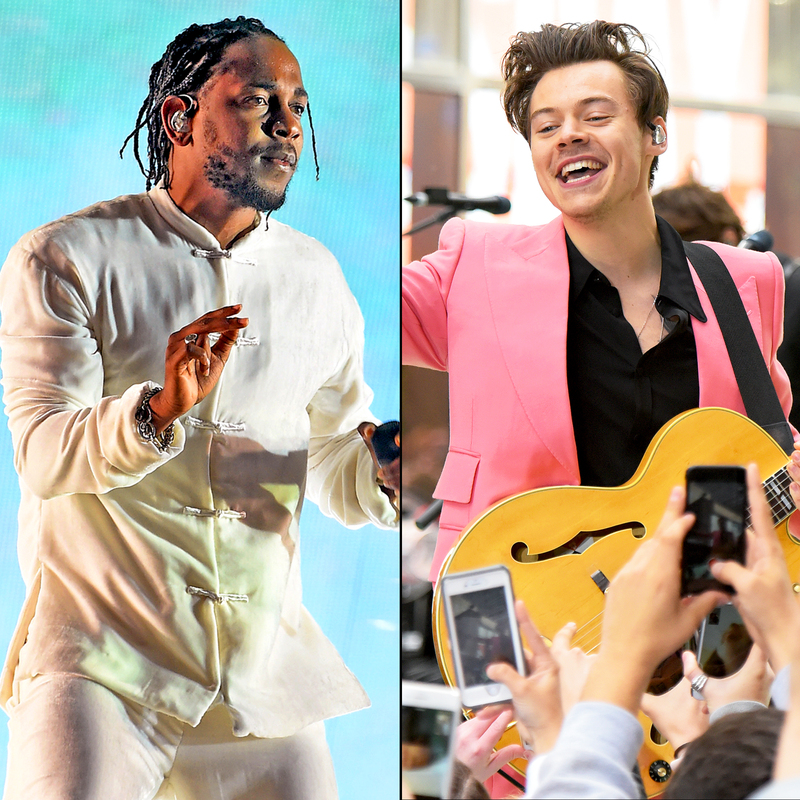 Check out Us Weekly’s list of the 10 best songs of 2017 below! This powerful song doesn’t actually mention the titular phone number for the National Suicide Prevention Lifeline, but it still manages to get the point across. ”1-800” reassures listeners that someone is always there for them even in their darkest of days. It should come as no surprise that after the trio performed the track — which features the lyrics, “I don’t wanna be alive / I just wanna die today” — at the 2017 MTV Video Music Awards, calls to the lifeline increased by 50 percent. Talk about an impact. Let’s face it: Mother Monster’s folky 2016 album, Joanne, didn’t resonate with everyone — and she knows it. But this is where “The Cure,” a one-off electropop single, comes in. While Joanne had some hidden gems, it lacked the oomph of songs like “Poker Face” and “The Edge of Glory.” This finger-snapping banger, however, is the cure (bad pun intended) that gives Us hope for the next chapter of Gaga’s career. This youthful anthem by Khalid, who just a year ago was a high school senior in El Paso, Texas, will make you miss the golden years of teenage love. “What’s fun about commitment?” the 19-year-old, who recently scored an impressive five Grammy nominations, ponders over an R&B beat. The easygoing One Direction singer packs a punch with this stomping R&B-influenced rock jam. Taking a page from John Mayer’s adult contemporary sound, Horan uses his lower register to craft the ultimate funky summer vibe that can still be played year-round. Like his 2015 hit “Thinking Out Loud,” this lovestruck track from Sheeran’s Divide will be played at weddings for years to come. While the later-released Beyoncé duet is angelic, its stripped-down acoustic arrangement yearns for the elegant strings that brought the original mix to life. For once, Beyoncé wasn’t a necessary addition (but she’s still welcome with open arms). It was nearly impossible to avoid this song in 2017 — not that we wanted to. After all, it is now the most streamed song of all time and the most viewed YouTube video in history. The racy reggaeton groove even went on to become the first primarily Spanish-language song to hit No. 1 on the Billboard Hot 100 since 1996’s “Macarena.” Though the original version is great, Bieber perfects it with a poppy final touch. This tender ballad off Lorde’s sophomore album, Melodrama, finds her grappling with the idea of fame and how it affects her personal life. Over a bare-bones piano melody, the New Zealand native sings about going home “into the arms of the girl that I love,” who, as it turns out, is simply herself. The title track from Jay-Z’s 13th studio album is … a lot to take in. Over a soulful loop executive produced by No I.D., the rapper goes to war with himself. He alludes to cheating on wife Beyoncé (“I apologize / Often womanize / Took for my child to be born to see through a woman’s eyes”) before expressing his regrets with their daughter Blue and twins Rumi and Sir (“And if my children knew / I don’t even know what I would do / If they ain’t look at me the same / I would probably die with all the shame”). Styles isn’t here to play it safe. Leading up to the release of his excellent debut solo album, the One Direction juggernaut did the unheard of and premiered a nearly six-minute rock ballad as his first single. His confidence shines throughout the David Bowie-esque song, specifically during the massive outro, in which Styles wails, “We got to get away!” Whatever direction (sorry) he’s going, we’re coming along for the ride.